There are few professional positions that don’t require at least some aptitude and comfort level in giving presentations, along with an expertise at using the tools that make them come alive. It takes preparation and practice to develop and polish these skills. Here are five tips that are important to consider that can help increase your confidence and ability to engage audiences over time. When presenters lack clarity in their main message and primary reason for presenting, they can become long-winded and end up speaking about superfluous and non-relevant information. It is very important to structure the presentation around the key message and specific supporting points the speaker is trying to communicate. For example, persuasive presentations that are making recommendations or proposals of some sort require the presenter to focus on that particular recommendation and/or proposal. It is critical to gather intelligence by analyzing the makeup of the audience before structuring the presentation. Aspects like the group’s demographic makeup, mindset and level of sophistication in terms of the topic are all important things to consider. Audience attitudes, such as friendliness or hostility, and whether the audience is comprised of people in various fields or just one are also key concerns. Speakers who are armed with this information are better able to properly structure and adjust the tone of their presentation. It enables them to prepare with the right information for that particular audience and stay away from information that might not be as accepted. Poorly prepared presentations often reflect a lack of understanding of the topics. Presenters should be comfortable in their content presentation and allow it to flow effectively from topic to topic. It starts with the introduction, which is incredibly important because it is when the audience first engages with the speaker. Not only does it outline the purpose and direction that the presentation will take, but it is where the presenter has the best opportunity to break the ice with an anecdote or amusing story, depending on the nature of the engagement, and capture the interest of the audience. The body of the presentation is where the bulk of the speaker’s data is presented. Make sure it flows well and is not choppy, jumping from one area to another and back again. The conclusion should end strong, recapping the purpose of the presentation and highlights of the discussion. Leaving the audience with a good impression is the goal, ensuring members received value and ended up better informed on the topic. A poor delivery is the most common problem that people have when they make a presentation. Delivery has a variety of aspects. One, for example, is making and keeping meaningful eye contact with the audience rather than watching the floor or the horizon. Another aspect is the voice. It’s critical to project it, avoiding the monotones or quiet voices of the unprepared. A third aspect is the smoothness of delivery. Speakers that practice come across as self-confident, and avoid the “umms” and uncomfortable silences that detract from the message itself. Practicing delivery will also help keep the presentation within a reasonable timeframe. Audiences appreciate presentations that make the point clearly and concisely, and that doesn’t mean they have to go on forever. If a 45-minute time slot has been allotted, better to speak for 30 minutes and foster greater engagement by opening the last 15 to audience questions and comments. PowerPoint is a great presentation tool, but too many don’t use it to its full potential. Presentations are often put together in a way that detracts, rather than enhances the audience experience. Think of a PowerPoint slide with 14 or 15 bullet points, each containing two sentences or lines. It can lead the speaker to look at the screen – not the audience – and read the slides verbatim. In addition to paying attention to the amount of information being included, presenters should explore PowerPoint’s many features that can enhance their message. For example, animations can be added and synched to music, or videos can be embedded from online sites to further engage audiences. 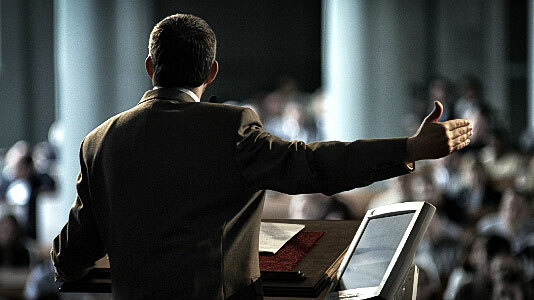 Next PostEffective public speaking: 3 ways to improve your presentation skills!